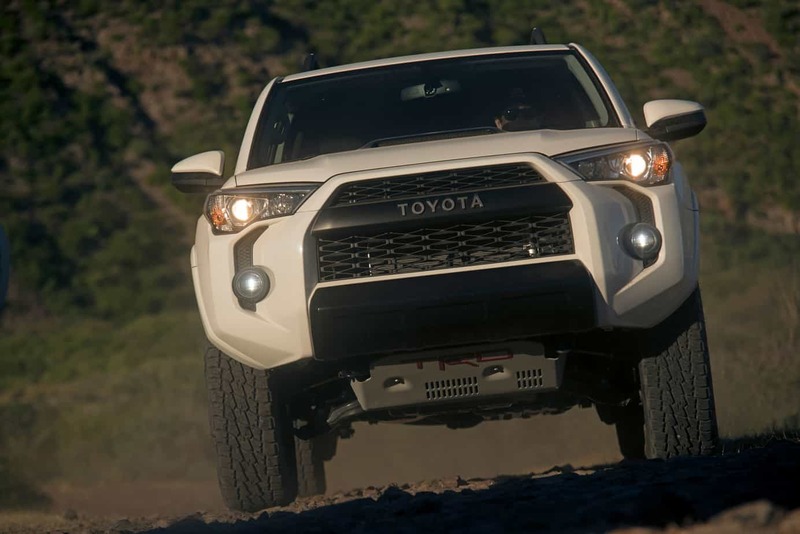 Toyota isn’t usually known for quick market reactions, but the off-road community continues to be spoiled for attention with the TRD Pro lineup, which has just announced that all models will be fitted with upgraded Fox Racing 2.5-inch internal bypass shocks, along with a model-specific roof rack on the 4Runner, and an all-new available snorkel on the Tacoma. 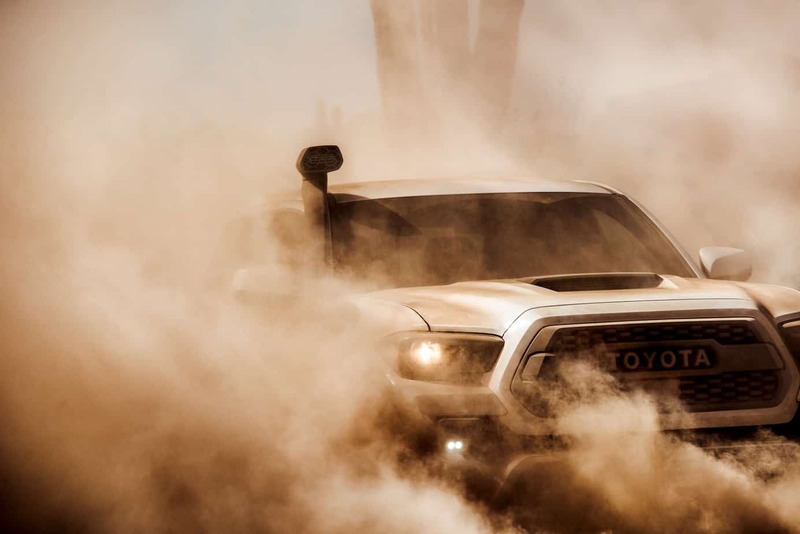 Toyota’s TRD Pro lineup was initially outfitted with Bilstein shocks, seen as an upgrade from the nameless black shocks usually fitted from the factory. However, with a gaggle of owners still swapping them out for further upgraded aftermarket units, Toyota must’ve taken the hint that high-tech suspension is in vogue. 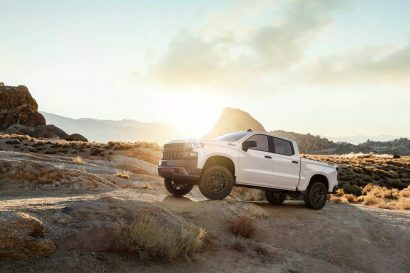 The move to a more premium, higher-performance shock is welcome, placing the off-road performance vehicles more in line with offerings from Ford (Raptor) and Chevy (ZR2). 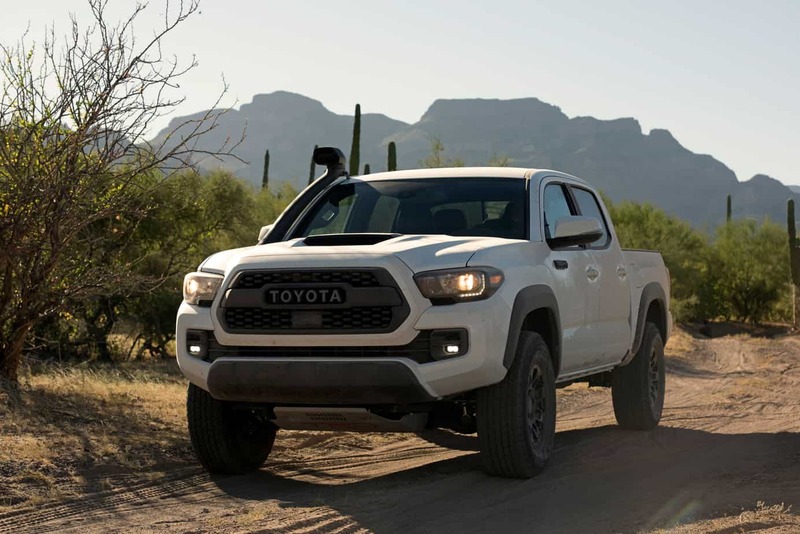 It also brings consistency within Toyota’s own lineup, as the Tacoma TRD Pro was outfitted with Fox Racing shocks when it was launched in third-generation form. 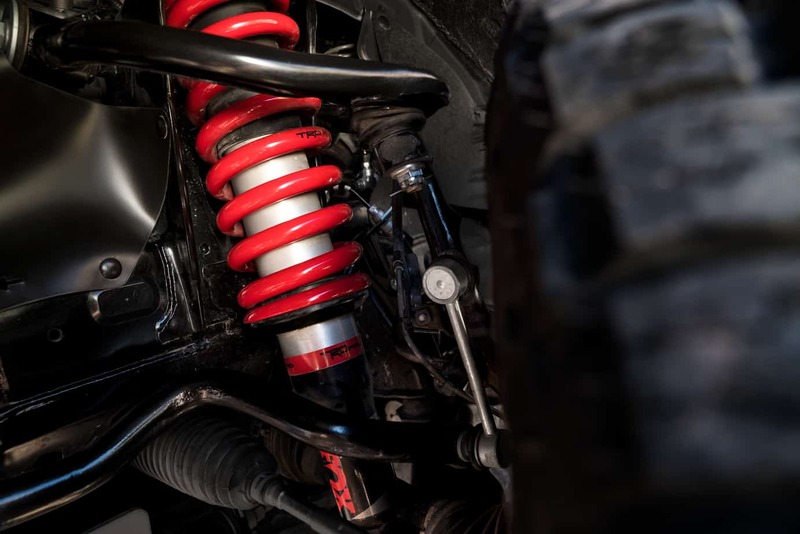 The front suspension is outfitted with TRD-tuned springs that offer between 1-2 inches of lift, depending on the model, increasing clearance and wheel travel when combined with the new shocks. Here’s a summary of what’s new on each TRD Pro model. 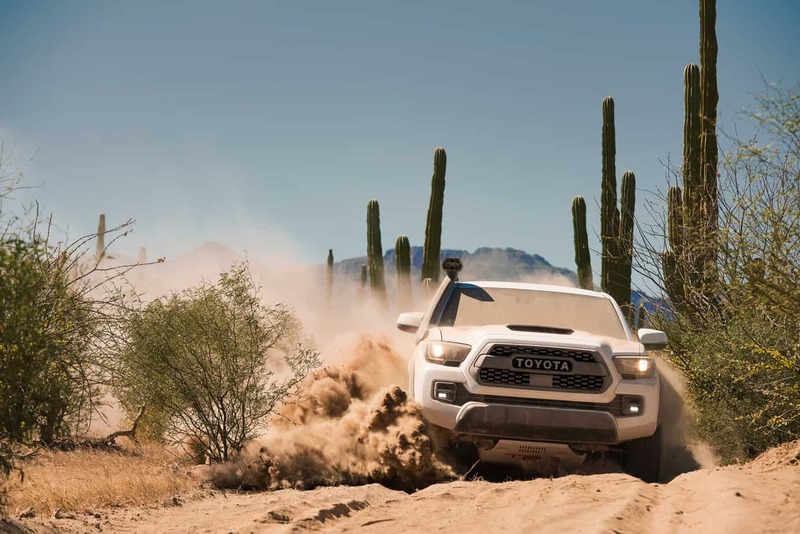 The Tacoma TRD Pro is the most recently updated model, and we confirmed with Toyota that the Fox suspension it received in 2017 is, in fact, the same that is on this model. All-new for this model year is the addition of a different (larger) front sway bar and a new TRD cat-back exhaust with a black chrome tip. Expect the same 1 inch of front lift found previously. 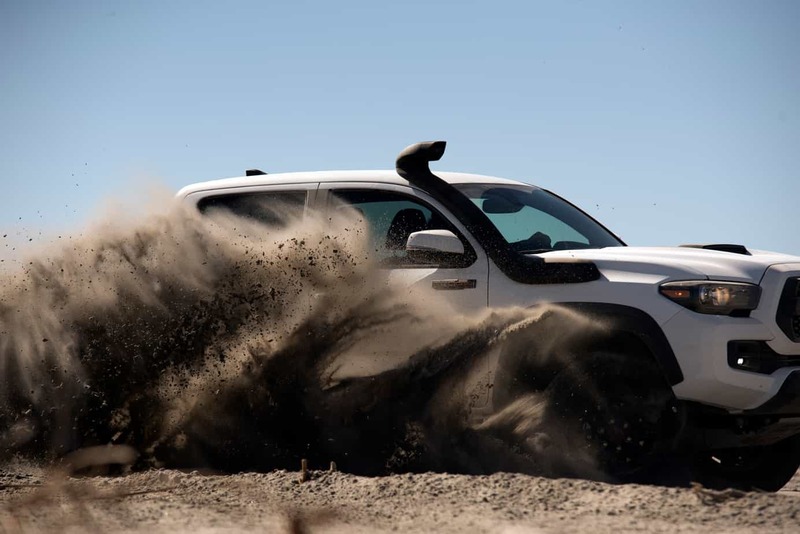 The most significant upgrade for Toyota is the availability of a factory-engineered snorkel. 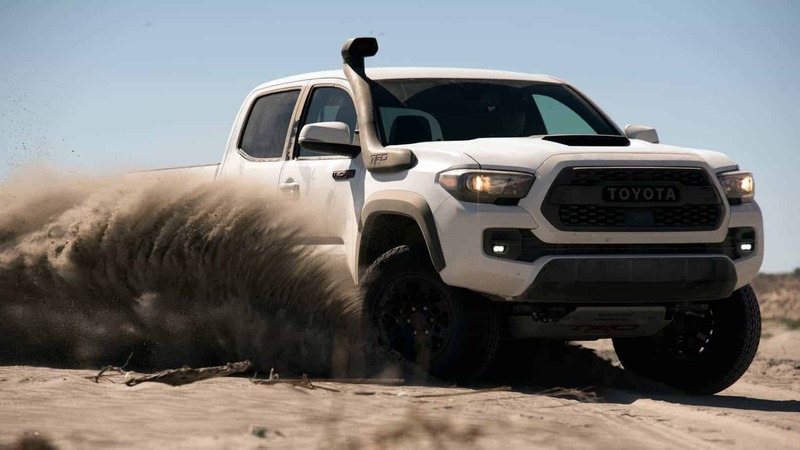 We’re a huge fan of the processes that OEMs go through with factory parts, and seeing this “TRD Desert Intake” is a welcome sign that Toyota is keeping an eye on market trends. 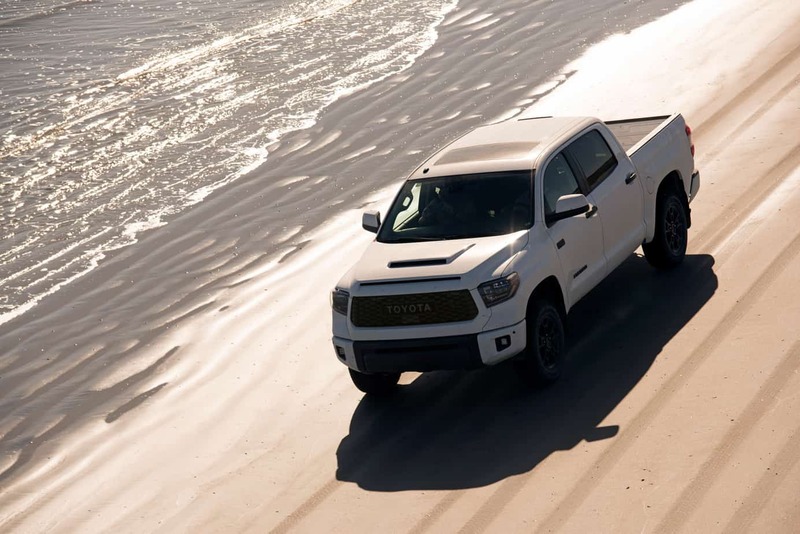 We confirmed with Toyota that this unit is designed for all third-generation 3.5L Tacomas, and will not be fitted as standard on the TRD Pro, but will be available as an upfitted option for dealers, so don’t be surprised if you see them on the showroom floor. The Tundra sees the most significant amount of change, presumably due to competition from Ford’s Raptor. We don’t expect the vehicles to be in the same league, but Toyota’s upgrades do go a long way. 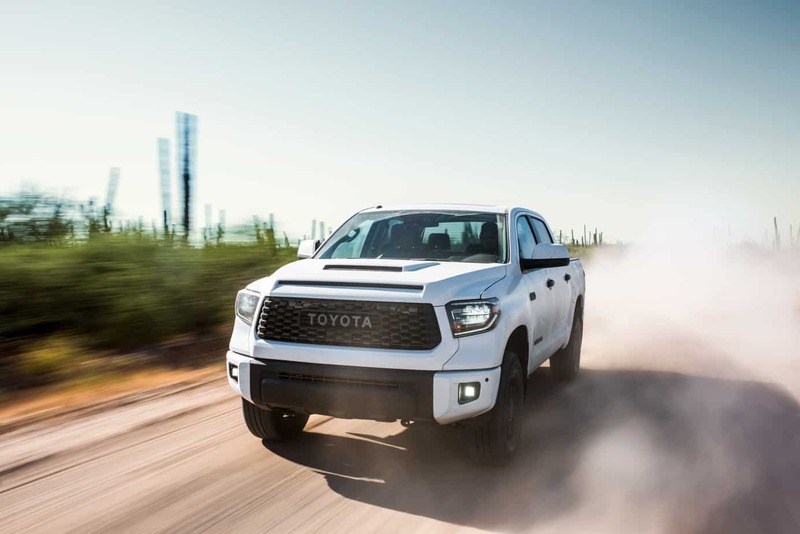 The 2.5-inch Fox shocks fitted to the Tundra have the highest number of bypass zones, 11 front and 12 rear, with both ends getting a reservoir—a 2-inch diameter unit up front and a 2.5-inch one in the rear. 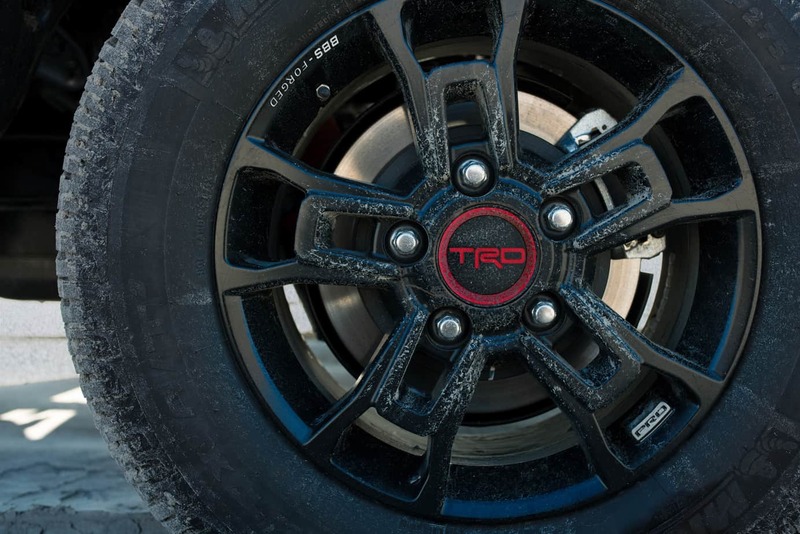 TRD-tuned springs in the front result in a 2-inch lift up front, and a wheel travel increase of 1.5 inches. The rear sees 2 inches of additional wheel travel but no increase in height. 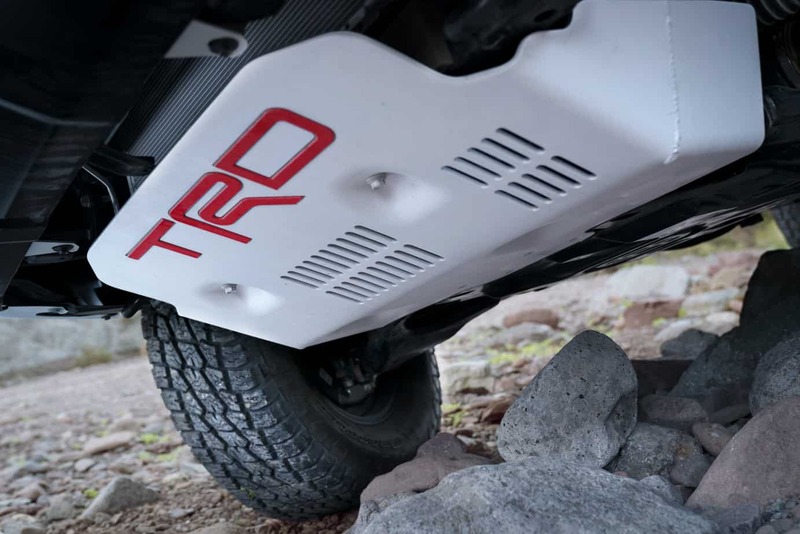 A new TRD Pro grill replaces the old style unit that’s been fitted to almost every Tundra in existence. It’s paired with an all-new hood scoop and BBS forged-aluminum wheels, which reduce unsprung weight by 3.35 pounds per corner. 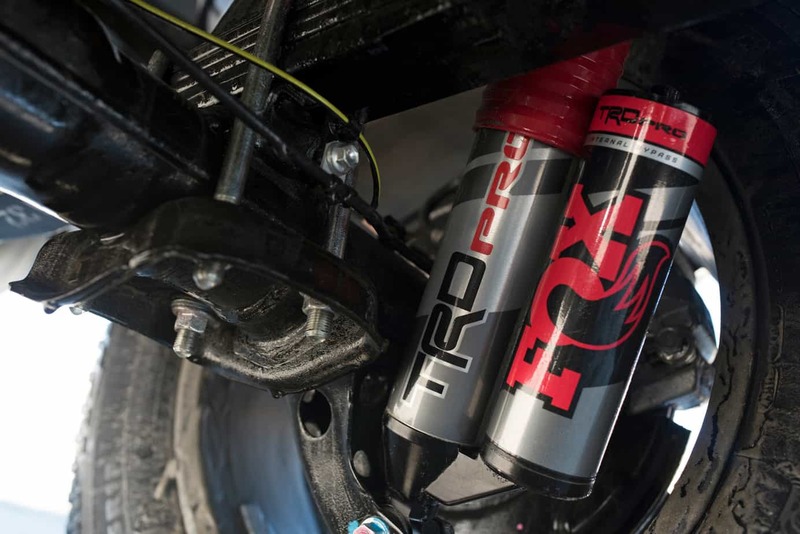 The TRD Pro 4Runner sees its main changes in the suspension department, fitted with new Fox suspension to keep it in line with the rest of the models. Compared to previous models, shock diameter is increased to 2.5 inches, and more zones of compression and rebound bypass zones are added. We liked the previous Bilstein suspension, but this definitely appears to be a definite upgrade—time will tell if enthusiasts will still continue to rip it off to fit different aftermarket shocks. 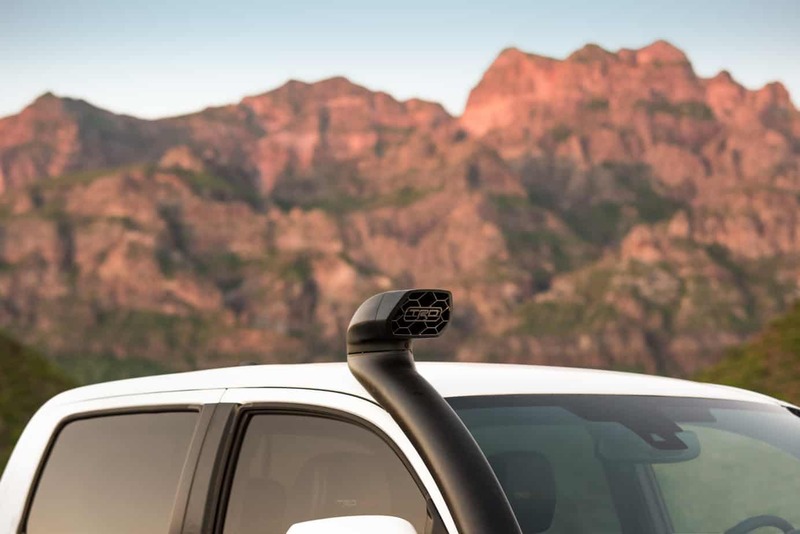 A newly available roof rack is also available on the TRD Pro 4Runner, one that reminds us of the same unit that used to be fitted to the FJ Cruiser. While it likely won’t negate the need for a full-length overland-style roof rack, it appears to be perfect for those looking to throw waterproof bags, kayaks, or bikes on the top. 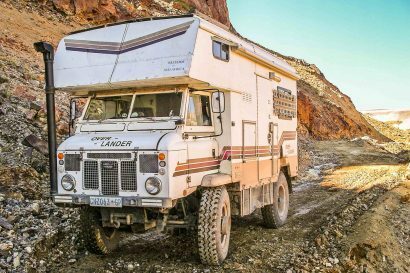 What Does This Mean For The Overlander? Toyota is listening to the U.S. consumer and making changes that will actually benefit their customers. While we personally found the previous-generation suspension to be more-than-adequate for most overlanding, OEM-engineered high-performance options are always welcome. We’ll still place a bet that the majority of owners will replace this new Fox suspension system with an aftermarket lift and the required shocks. 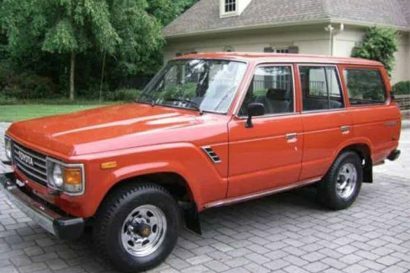 A factory snorkel, or “Desert Air Intake” is the only such kind offered in the United States from an auto manufacturer. 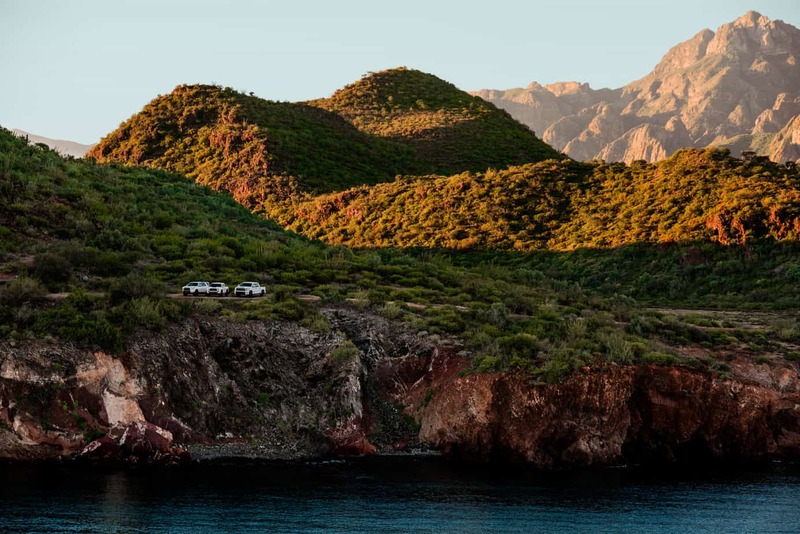 This isn’t Toyota’s first rodeo with a snorkel; they’re offered them on lots of overseas models, but it’s pretty damn cool to see them on our shores. 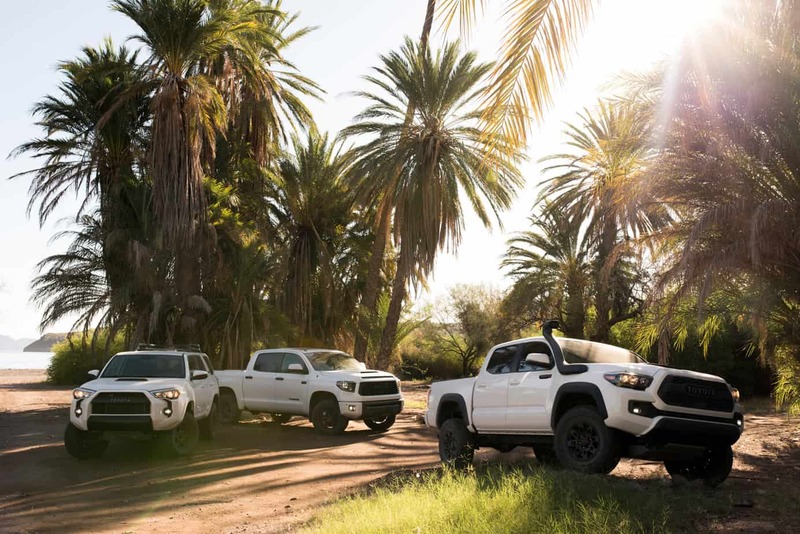 The fact that they’ll be available for all third-generation Tacoma models is also a huge plus for American overlanders. I'm just a guy who developed a knack for writing and a desire to see the unknown. Along the way I've written for a bunch of magazines, traveled to a fair-few countries, and met some amazing people that've become great friends. I don't care if I'm on two-wheels, four-wheels, or no wheels—I'm on a mission to see as much as I can.